At Intelligent Design Corp, we find that communication is one of the most critical aspects of having a successful roofing project. In fact, project professionals estimate that communicating is 90% of all projects. By communicating your needs, you eliminate the possibility of being disappointed with your new roof or roofing repair. The following are some tips you can use to ensure that you are effective in your communications with your roofing contractor. Many people shy away from agreements and contracts, but they are necessary. In fact, agreements and contracts protect both parties. These documents outline the scope of work your roofing contractor agrees to perform and it outlines what you agree to pay for when it comes to your roofing. By having a written agreement, you can easily reference the work that should be completed once you have your new roof. Another important aspect of effectively communicating with roofers is being able to speak their language. Like every other professional trade, the roofing industry has a lexicon of words and phrases that apply specifically to the work. 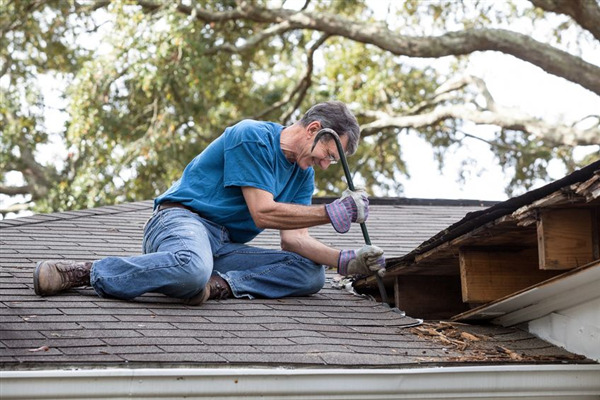 Although you don’t have to be an expert in roofing, you should consider familiarizing yourself with the language so that you will understand exactly what your roofer is referring to when they encounter an unexpected problem. Many people think they are being annoying when they ask their roofing contractor questions; however, at Intelligent Design Corp, we welcome questions from our customers. We find that informed customers are the best. We want you to be informed, so whenever you have a problem or concern, we encourage you to talk to members of our crew about the issues so that we can walk you through the process or explain exactly what is going on with your roofing project. Your safety is of the utmost importance when it comes to your roofing project. At Intelligent Design Corp, we have a dedicated team of experts who performs the work. We encourage you to get to know us by asking questions while we are on site. Your new roof is an expensive project. Although you aren’t doing the work, it’s important that you remain in direct communications with the roofing contractor to ensure you get the work you need for your roof. As a homeowner, taking pride in your home improvement projects includes remaining informed about the work being completed, which is why communicating with your roofer is essential. What Does ‘Sustainable Roof Design’ Mean?